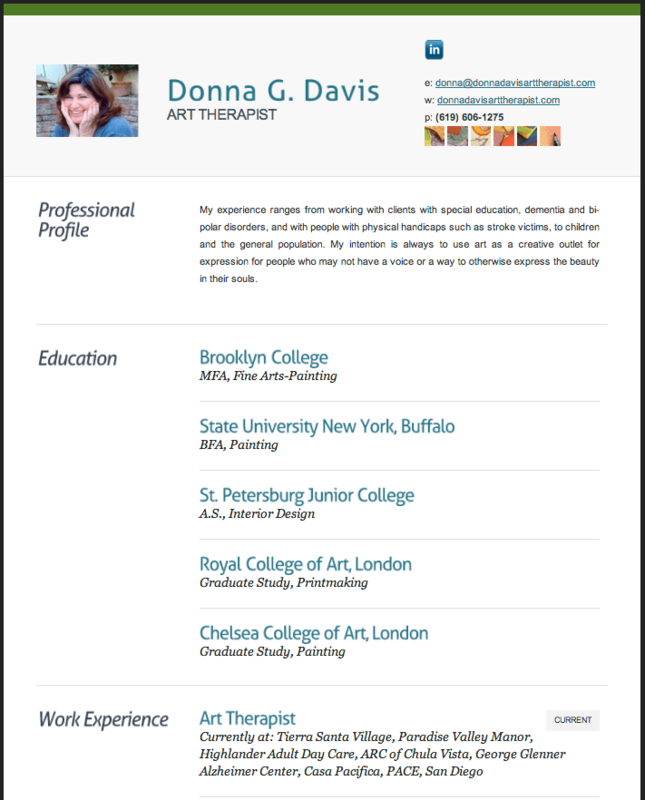 This is a website I designed for Donna G. Davis, Art Therapist in HTML. It is my first resume site. I don’t usually do one-page sites, but this was fun!